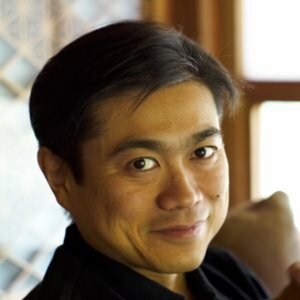 MIT announced yesterday that Joichi Ito has been chosen as the new director of the Media Lab, which has been one of the university's highest-profile research groups over the past quarter century, and spawned companies like Harmonix Music Systems and E Ink. Ito, known as Joi (pronounced like "Joey"), has been an entrepreneur, venture capitalist, and non-profit CEO. Among the more notable companies in which he has invested: Twitter, Flickr, Six Apart, and Kickstarter. He briefly studied computer science at Tufts University, but did not graduate. 1. How will the Media Lab's often-fractious faculty respond to being led by someone with serious tech cred, but no college degree or hands-on experience with supervising high-level academic work? 2. How well will Ito do at attracting new corporate sponsors to fund the lab's research? 3. Will Ito do any local angel investing? (I'm not aware of any Boston companies he has backed.) Ito says that he is currently managing a fund focused on Singapore and the Middle East. "It is more than half invested," he writes in an e-mail, "but I'll continue to manage that remotely as I have been doing." 4. Ito's predecessor at the lab created a research group to explore innovation in health care, New Media Medicine. What new research initiatives will Ito introduce? More coverage of the announcement: Ito's blog post...the New York Times story that broke the news...and Xconomy's interview with Pattie Maes, the MIT prof who led the search committee. Ito confirmed with me yesterday that while he had been to the MIT campus before, and while he'd "interacted with Media Lab people" frequently, his first visit to the Media Lab was for his job interview. Ito's official start date hasn't yet been determined. "We're looking at Sept. 1, but it could be sooner," says long-time Media Lab spokesperson Alexandra Kahn. Update: One Media Lab source says that in a talk with faculty members, Ito said he wasn't planning to launch any of his own research initiatives, but would instead focus on creating more links between the lab and the "outside world."